How to Pick a Good Hunting Tent ? Now that we established the important traits of hunting tents let’s head on to the candidates for the best one! Just as the name suggests, this tent has an instant setup feature; it’s done in just one minute. All you need to do is lift the top of it, and it will do the rest by itself. It’s made of polyester which makes it durable and waterproof. Even though it’s made of polyester, it’s breathable and provides UV protection as well. It is not camouflaged, but it comes in the army green variant which can do a decent job. Its poles are made of fiberglass, and it’s fixed with steel stakes. It has a door on each side which are pretty big, so the ventilation and view are pretty good. Inside there is a storage pocket to keep your gear in, and there’s a hoop on the ceiling to hang a lamp. It can fit 2-3 persons, but it is ideal for 2 if you want to be comfortable. Since it’s an all-season tent, with the waterproof ability it also has a sun shelter. The price is pretty low for the quality of the tent; I would say that that is one of its main advantages. The bad thing about it, at least it could be for some of you, is that it’s little heavier due to its materials. It’s a heavy duty tent, so it has to be a bit heavy. Comes only in one color variant and it’s not camouflaged. The canvas is made of cotton, very breathable and durable. The ceiling is so high; you can comfortably walk inside of it. Both front and back of the tent feature a door. The doors are closed with quality YKK zippers. There are two windows on each door with a mesh. 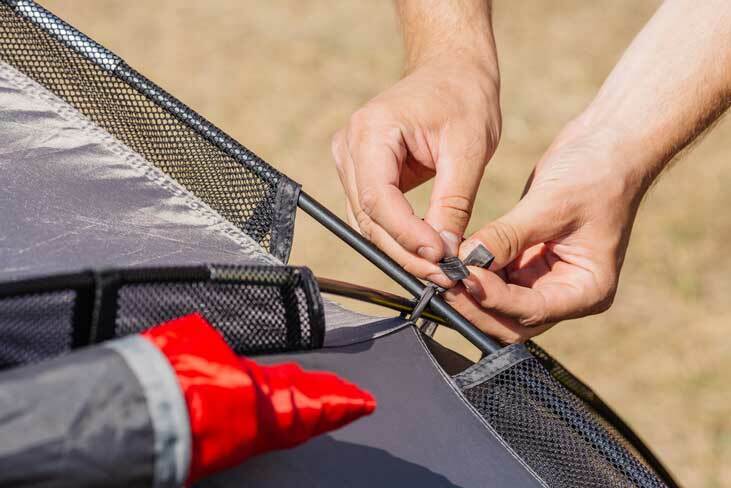 The tent also features two funnel-flow vents for better airflow and temperature management. The floor of the tent is made of reinforced polyester. The canvas has the silicone finish which gives is some waterproofing, while retaining breathability. The poles are made of steel, so it can withstand strong winds. It’s not an automatic tent, but it’s pretty easy to set up with the help of one more person. The downside of it is that it’s pretty heavy. You will need a car to bring this bad boy with you. The overall quality is great, but that reflects the price that is a bit higher than expected. This one is a very durable and spacy tent, comfortable for four persons. Very similar to the four-person variant, this one is a bigger and can fit six persons easily. It features Hydra-Shield, durable cotton canvas which is breathable and watertight. Huge ceiling, just like the previous smaller version. You can easily walk around inside of this thing. The door at the back and the front with two windows each, both doors closed with YKK zippers. It has two vents to boost the airflow and manage the temperature. Polyester floor with welded seams. The frame is made of galvanized steel, making it very sturdy and stable, but heavy at the same time. As for the price, I expected it to be a bit more expensive compared to the smaller version, but I have been positively surprised. There’s enough room inside for six people, but the best possible option and the maximum comfort is achieved for the five people and the equipment. It comes in the same color variant as the smaller version, and it doesn’t have a camouflage. The setup is easy just like with any other Kodiak tent, but it’s not a one-person job. The only problem you might have with this tent is its weight, it’s very heavy, and some might not even be able to lift it up on their own. Very heavy, you will need some help transporting this tent. The very big tent that is able to fit eight people. It comes in a green color variant with more than one shade, so even though it’s not camouflaged, it can blend in nature pretty well. It’s so big that gives you the feeling that you’re in a house. It’s a tunnel design kind of tent, so you will have a lot of living space and privacy with its featured dividers. It has a lot of windows, which give you a lot of air flow and vision. All of the windows can be sealed and opened from the inside. The biggest tent in the selection so far, it has a cool color combination on the canvas that blends with nature, and it provides huge space. The poles are made of fiberglass and are supported with steel uprights to give it some extra strength. The hub design really makes it easy to set up. The ceiling is pretty tall; you can stand and walk around in it pretty easy. It’s divided into two rooms, and every room has its own big door. The doors feature big zippers. It doesn’t say in the description how many people can fit inside, but I can tell you that it can fit eight people with room to spare. It has a polyester fly that is UV resistant and weatherproof. Along with two doors, it has six windows that provide great ventilation. It has storage pockets and everything you need to set it up included. The bad side of it is the floor. It’s very thin and doesn’t seem that durable. To choose the best one, first, we have to establish the points that one tent has to fulfill to deserve to be called the best one yet. 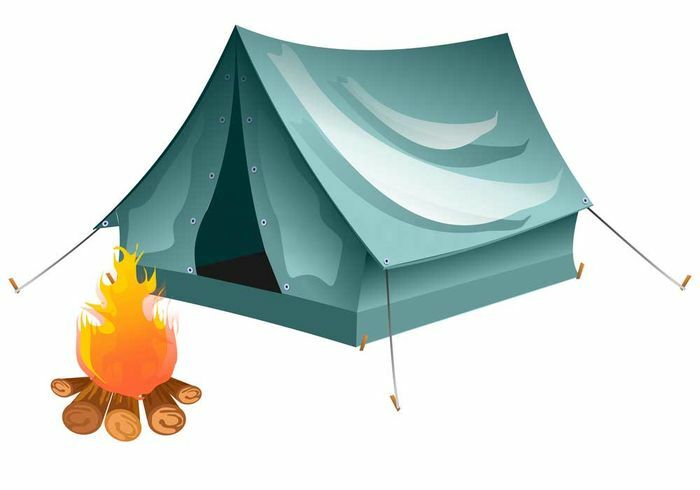 Hunting tents are mostly divided into groups based on the location they are going to be used and the weather conditions. So, following that divide, you have winter hunting tents, summer hunting tents and all-weather types that are universal. 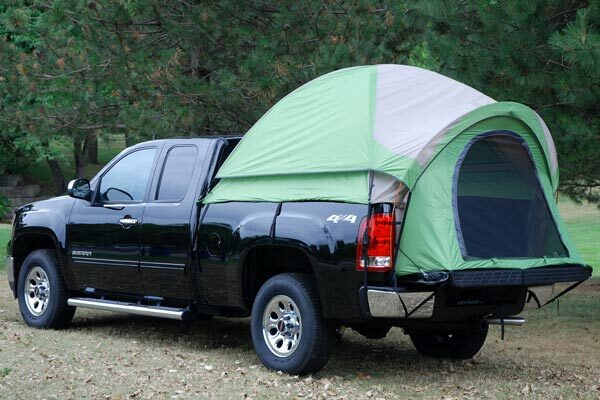 By the location of placement, you have truck tents that can be mounted on the back of your truck and tree tents that can be attached to three trees. 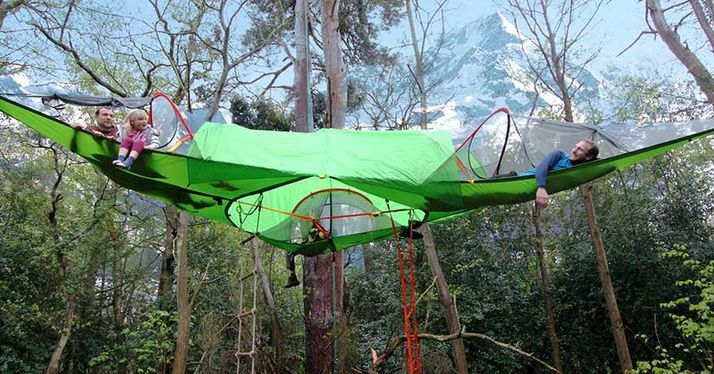 Tree tents are made for rough terrain where you can set the tent on the floor, so you have to hook it up to the trees. Also, tree tents are great for hunting in jungle areas where you will be camouflaged, hidden and safe to wait for the prey. Before looking any other traits of the tent, first, think about how many people are coming with you. And it would be the best to always get one size bigger than your party needs. If only two of you are going, then get the tent that has the sleeping capacity of three people. Why? Because most of them won’t fit all your gear with the number of people written in the tent description. I mean, you could, but you won’t be comfortable at all, so the best solution is to get one size bigger to preserve the comfort with all the gear you will bring along. The season in which you will be hunting plays an important part while deciding what tent to get. The summer season requires for the tent to have good ventilation, and to help you stay cool. In the winter you will need something that will keep you warm and isolated from the temperatures in the environment. Also, winter tents have funnel vents so you can install a burning stove and they are much thicker. All-season tents can be used in all weather conditions and seasons, but they tend to be much more expensive. 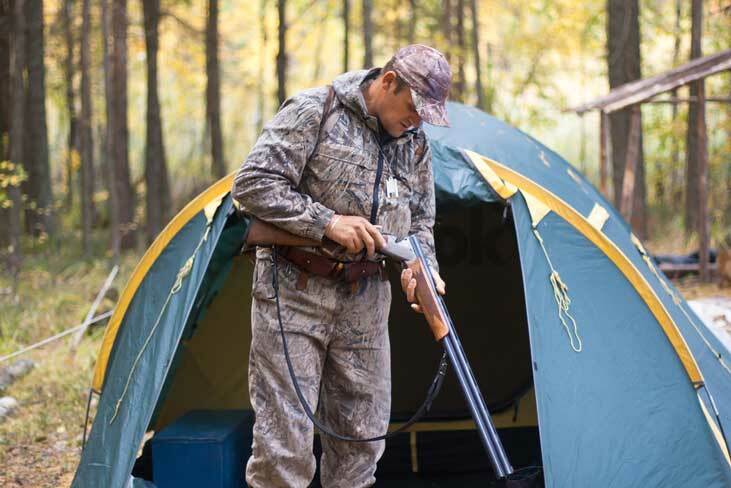 By default, hunting tents are considered to be more comfortable than camping tents. Usually, they are less durable but more portable than camping tents. The comfort varies based on the design of the tent. The tunnel tents have great wind resistance, but their ceiling is very low. Padded tents can be great because you can use a pad just for bed and the rest for the living and storing area. Cots are great to be separated from the ground and the night crawlers that may come near. The combination of designs can also be a great idea if it’s well carried out. Every outdoorsman knows just how the weather is unpredictable and that rain can ruin the experience if the tent does not have some water resistance. A lot of models have a coating that stops the moisture from getting inside. The bad weather is always an option, so the tent you choose should have some kind of water resistance or waterproofing. 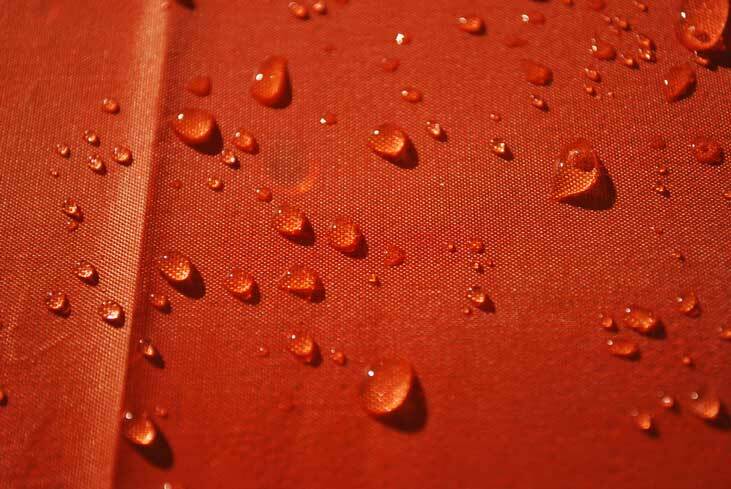 When you look at the canvas type of the tent, check the materials of which the canvas is made. If the canvas is made completely out of cotton, it will have an excellent breathability. Cotton is pretty resistant to tearing and ripping. But, if you want your tent to be water resistant, then cotton is not the best idea. Also, while considering the type of the canvas, you should check on its thickness as well. The thicker the canvas, the warmer the interior, the bigger the weight and the price goes up also. Cotton is considered the strongest material, but there are some substitutes that are worth mentioning. Some polyesters can be great performers, both in durability and moisture resistance. They are not as durable as cotton, but considering the price they go by, they have a great value for the money. Poles are made of many different materials, and some outperform the others in certain aspects. For example, fiberglass poles are the lightest ones, but they can’t resist strong winds. They are great if you plan on moving the tent a lot since they are so light, but if you have some plans on going to certain areas where the weather is harsh, fiberglass poles should not be the option. Other options include steel, which is the heaviest of the bunch, aluminum which is lighter than steel but heavier than fiberglass, and it’s known for it to be the strongest. Some tents don’t have the poles at all, but instead, they have instructions and measurements so you can make them yourself. Camping tents come in colors to match the surroundings, but for a hunting tent to be more effective, camouflage is in order. 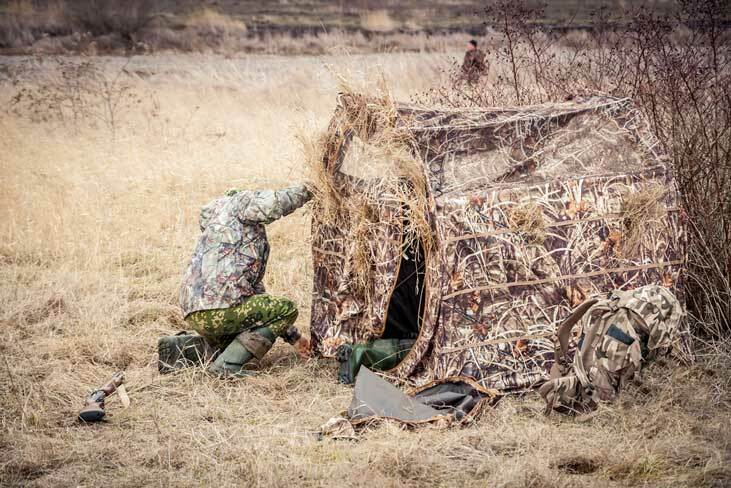 If stealth is one of your major concerns such as in a scouting elk or elk hunting trip, choose a elk hunting tent that has a good concealing ability with the camouflage canvas. So, there you have it, I tried to cover various sizes of tents, so you have a lot to choose from. 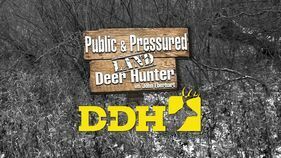 Hopefully, you will find something that can fulfill your hunting needs. Out of all these, personally, I have to say that Kodiak Canvas Flex-Bow 4-Person is my personal favorite. It’s durable, has a lot of space, it can be used in various weather conditions, and the build quality is great. Do you agree with my choice? Or you think some other is the better option? 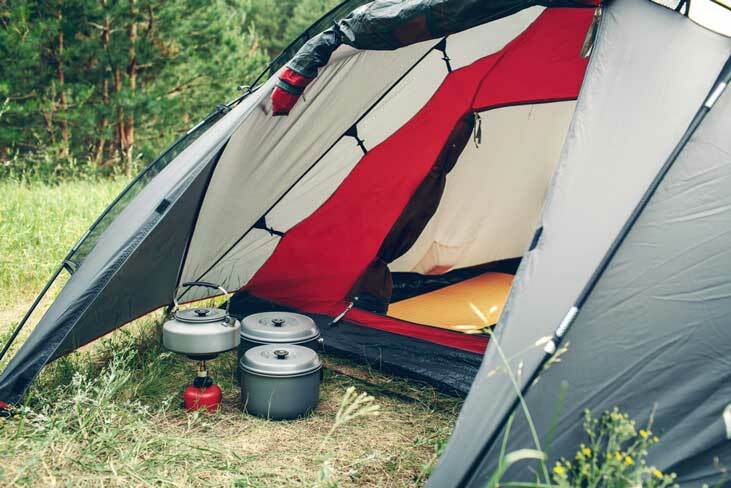 What is the best hunting tent for you? Which one of the listed caught your eye?